McDonald's UK is in the midst of offering their annual Great Tastes of the World menu for 2018, which features a number of limited-time menu items inspired by various countries. 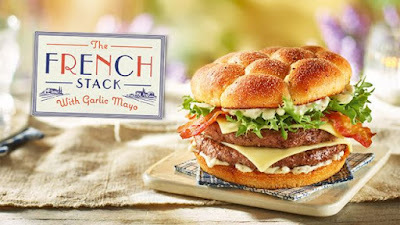 The countries represented differ from year to year and this time around they started with the French Stack, which featured two beef patties, garlic mayo, and a garlic bun along with lettuce, processed Emmental cheese, lettuce, bacon, and onion. It was available through October 9, 2018. Currently, the menu is headlined by the Swiss Stack, which includes two beef patties, bacon, Emmental cheese sauce, crispy onions, processed Emmental cheese, and lettuce on a potato lattice bun. 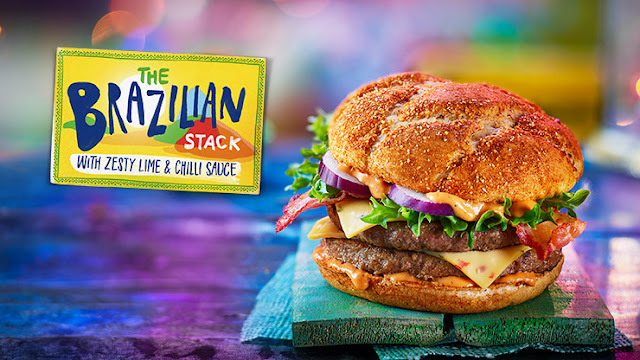 Come October 24th, the Swiss Stack rotates out to make room for the Brazilian Stack, which features Creamy Bell Pepper, Chili & Lime Sauce along with two beef patties, pepper jack cheese, lettuce, bacon, and red onion on a spicy lattice bun. - The Jamaican Chicken - Two crispy strips of chicken, pepper jack cheese, sweet and spicy jerk sauce, mayo, lettuce, bacon, and red onion on a jerk bun. - Spicy Nacho Cheese Wedges - Nacho cheese and jalapeno wedges covered in a crispy tortilla coating. They come five to an order and are served with a sour cream and chive dip. - Smarties McFlurry - Vanilla soft serve mixed with crushed Smarties Mini candies and chocolate sauce. 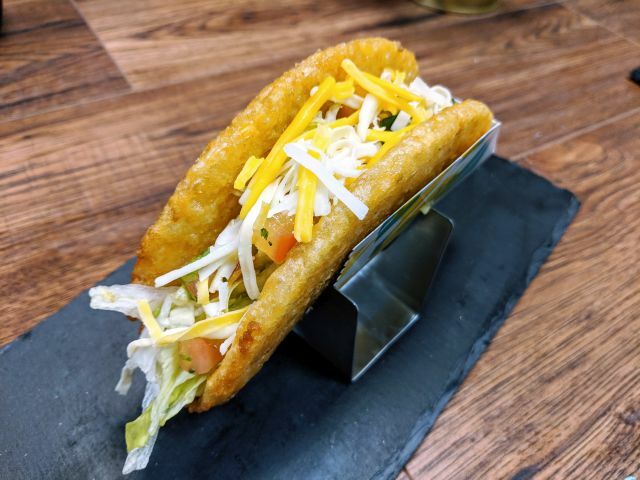 While we have yet to see similarly-themed menus here in the US, you can get some international McDonald's menu items at their headquarter restaurant in Chicago and, after many years of offering limited-time international-themed menus abroad, they're finally testing a similar concept for the US market. Photos via McDonald's United Kingdom.